To treat clients with respect. To fight for our clients interest and to protect their constitutional rights. To represent clients to the best of our knowledge and ability and seek the best possible outcome in their cases. 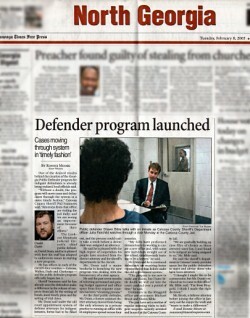 A native of Ringgold, Georgia, Mr. Bible began his career at the Catoosa County branch of the Lookout Mountain Judicial Circuit Public Defenders Office after graduating from law school at Georgia State University with a Juris Doctor degree in 2003. He is also a graduate of the University of Georgia, earning degrees in History and Political Science in 1999. 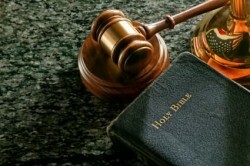 Since entering private practice Mr. Bible has represented clients in a variety of cases. In addition, he is the Solicitor for the Catoosa County Probate Court and acts as a Special Assistant Attorney General representing the Department of Human Resources in the Lookout Mountain Judicial Circuit. He is a member of the Lookout Mountain Bar Association and the State Bar of Georgia.